This beautiful sea slug is named after the beautiful Khaleesi (Daenerys Targaryen) from Game of Thrones. It's called Tritonia khaleesi. Researchers noted the similarities between the pale, effervescent sea slug and its fair-haired nomenclature. The slug is the latest addition to the Tritoniidae family. Tritoniidaes live in warm seas and have a pale white body and small fins. It was discovered off the northeastern coast of Brazil. 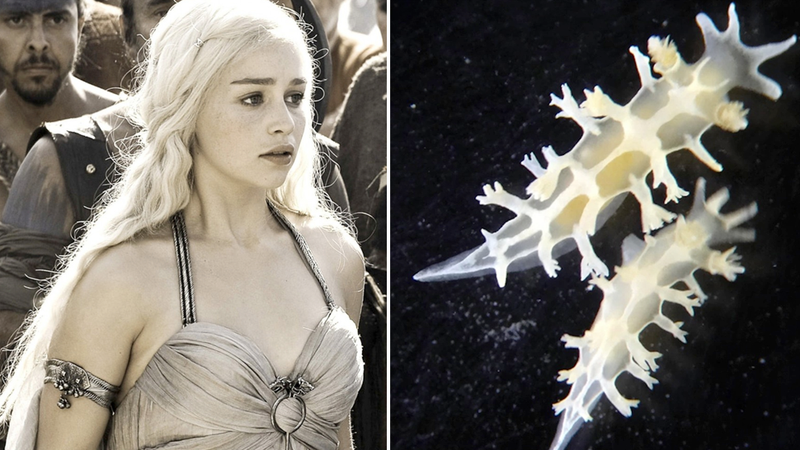 According to Brazilian reports, the Tritonia khaleesi is easily distinguishable from other sea slugs because of its 10–14 rows of denticles on its inner lip, different teeth and absence of stomach plates.